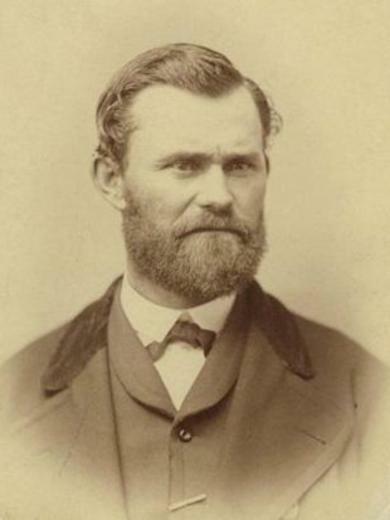 Notes: Served as mission president from 1890-1892. Missionary Department missionary registers, 1860-1959, Vol. 1, p. 14, line 584. Missionary Department missionary registers, 1860-1959, Vol. 1, p. 32, line 1367. Missionary Department missionary registers, 1860-1959, Vol. 1, p. 99, line 44. Missionary Department missionary registers, 1860-1959, Vol. 2, p. 15, line 584. Missionary Department missionary registers, 1860-1959, Vol. 2, p. 35, line 1367. Missionary Department missionary registers, 1860-1959, Vol. 2, p. 106, line 44. Historical Department journal history of the Church, 7 April 1854. Mission was in the Eastern States. Early Church Information File, FamilySearch, card 500, image 3989. Early Church Information File, FamilySearch, card 511, image3990. Early Church Information File, FamilySearch, card 487, image 3976. Andrew Jenson, Latter-day Saint Biographical Encyclopedia, 4:341.